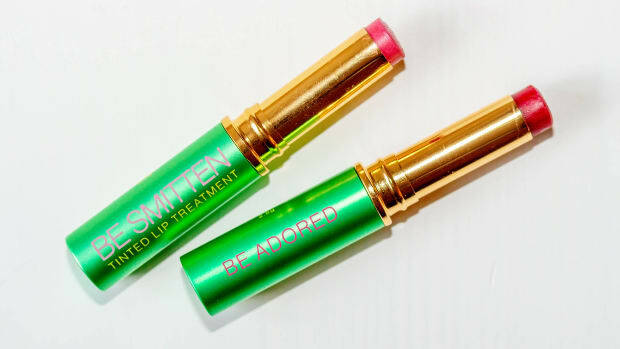 We all love a good tinted lip balm, but you know what&apos;s equally life-changing? Unlike blush, it&apos;s basically impossible to screw up, and it gives you this sheer, dewy colour that looks way more natural, like you&apos;re flushing from within. 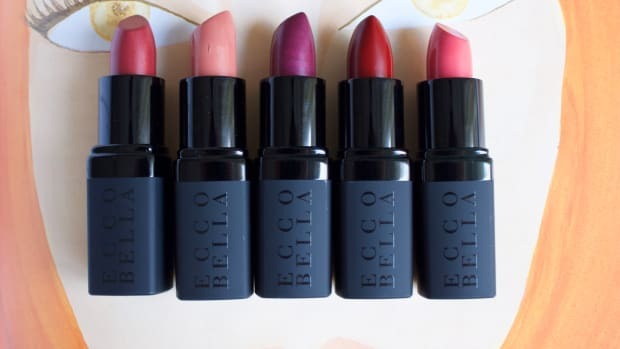 No, what you NEED are the Olio E Osso Balms—moisturizing, multitasking balms in an array of shades (as well as clear) for lips, cheeks and skin. They&apos;re my new obsession! Trust me, these are a must-have! 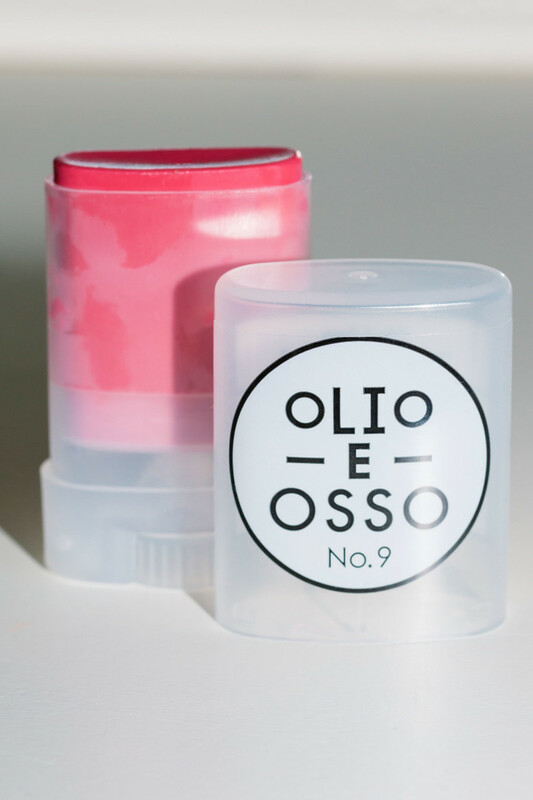 The chic, compact packaging of the Olio E Osso Balms. Olio E Osso, which means "oil and bone" in Italian, is the creation of Paola LaMorticella, a makeup artist based in Portland, Oregon. 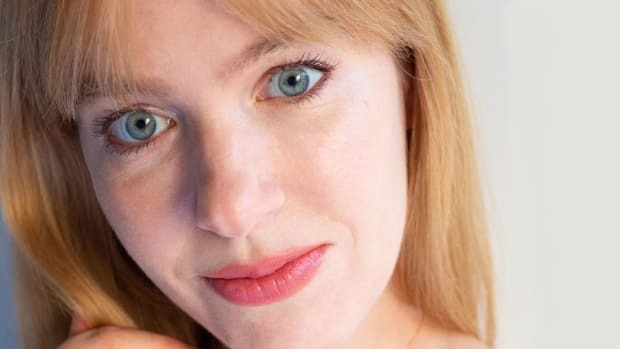 It all started when she couldn&apos;t find a cream that wouldn&apos;t irritate her infant son&apos;s sensitive skin. So she decided to make one herself, using only natural ingredients, and as few of them as possible. The result was Balm No. 1, and it not only worked for her son, but also her clients. At the time, Paola was working with the US women&apos;s soccer team, and most of the players hated the feel of makeup on their skin—but they loved the Balm. That inspired Paola to create tinted versions, in order to give them a little colour without looking made-up. 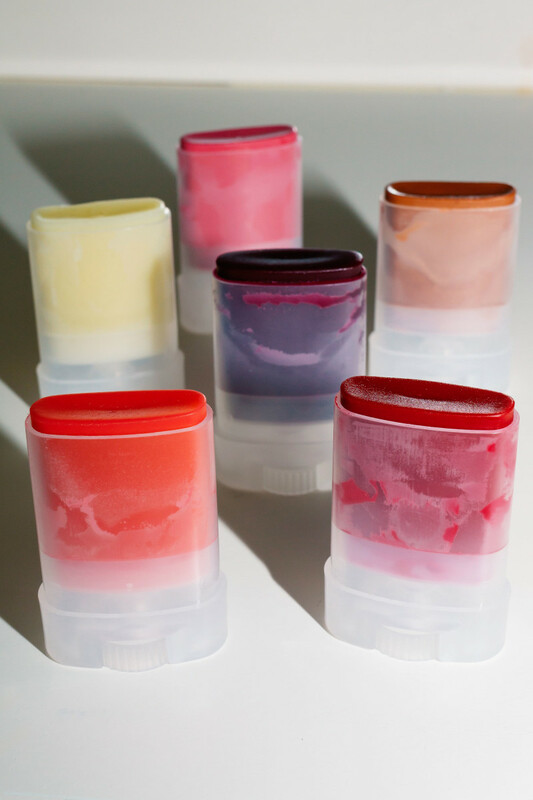 As it turns out, the tinted balm concept resonated with a lot of people, not just pro athletes. 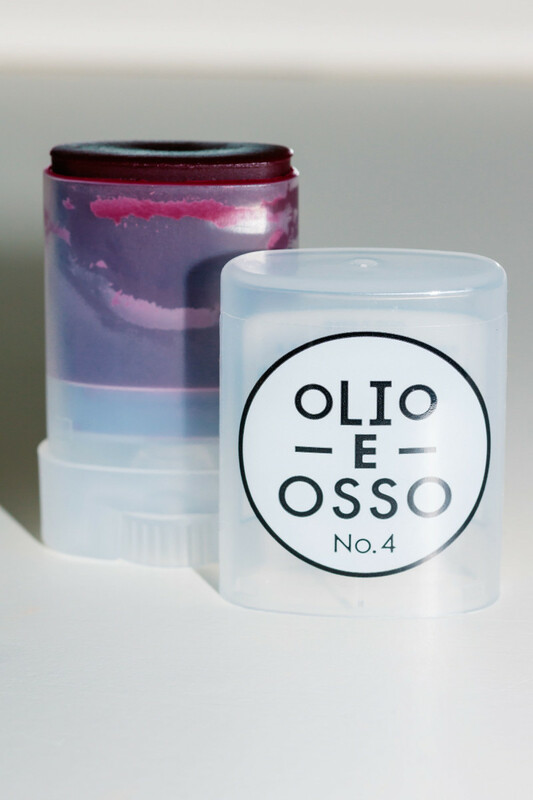 Soon, other makeup artists started using Olio E Osso, and then celebs like Gwyneth Paltrow and Sofia Coppola. Most importantly, Jean Godfrey-June is a fan, so of course, I HAD to place an order after doing this interview. 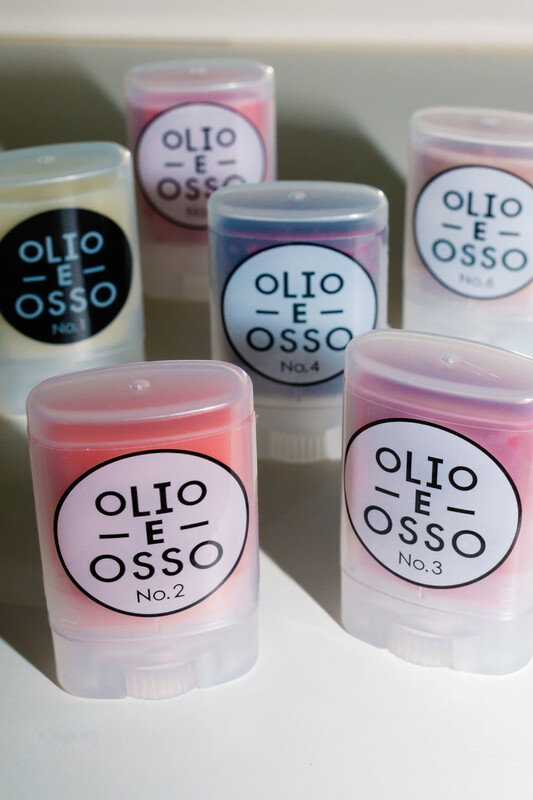 Today, the Olio E Osso range has grown to include 11 balms, along with several oils, all based on the idea of simple, natural formulas that nourish the skin. 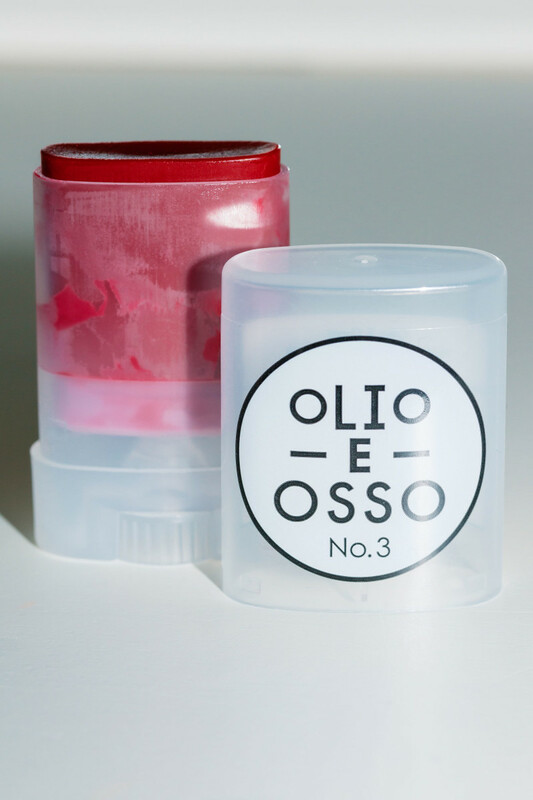 The Olio E Osso clear and tinted balms. Origin: They&apos;re made by hand in small batches in Portland, Oregon. Ingredients: There are just four (FOUR!) ingredients and they&apos;re 100 percent natural—organic olive oil, shea oil, beeswax and grapefruit essential oil. 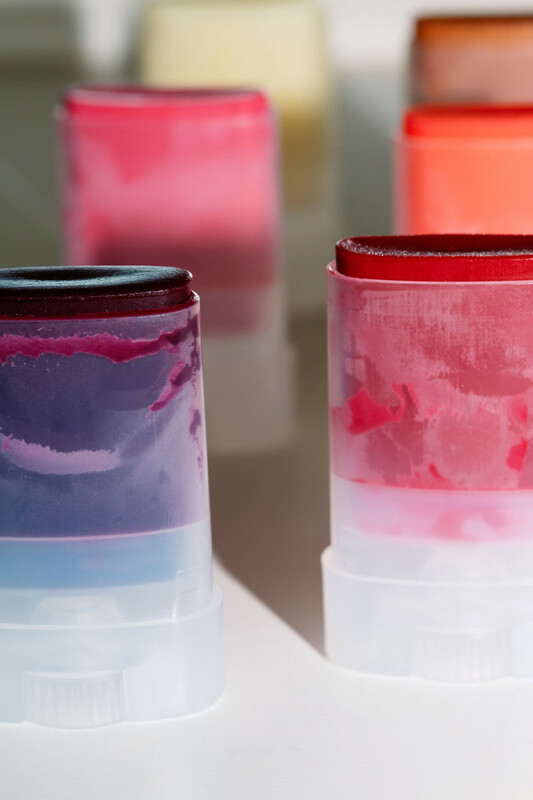 The tinted balms also include natural colourants, with the exception of the shade No. 2 French Melon, which has less than 0.05 percent of a food-grade synthetic colorant. Vegan: No (due to the beeswax). Shelf life: One year. They should be stored below 24°C/76°C. 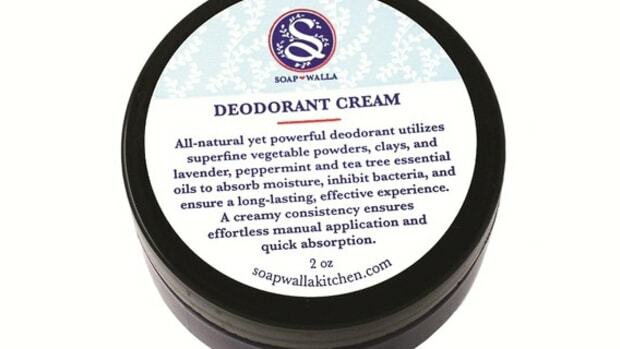 Packaging: These come in a convenient, portable stick format (like deodorant, but smaller). All you do is twist it up, and it&apos;s so easy to swipe over your cheeks. For lips, I hold the stick in a vertical position. Texture and finish: Very emollient. You know how some lip balms are quite hard and need to be warmed up with body heat to even spread? These are not like that! They glide beautifully, and leave you moisturized with a dewy sheen. 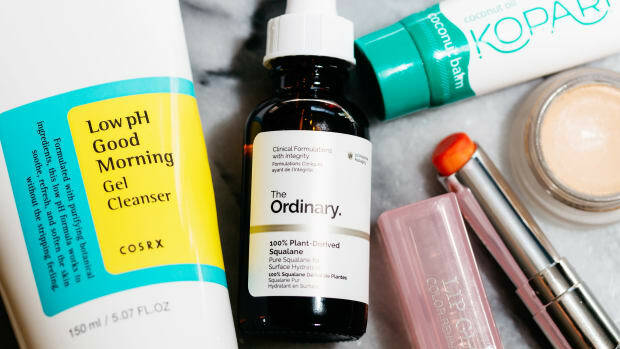 If you&apos;re concerned about oiliness, don&apos;t be—the consistency is very thin and non-greasy. Longevity: As blush, I would say you can get about three hours of wear from these before they fade, which is pretty good for a natural product. They&apos;re so quick to re-apply, I don&apos;t mind at all! 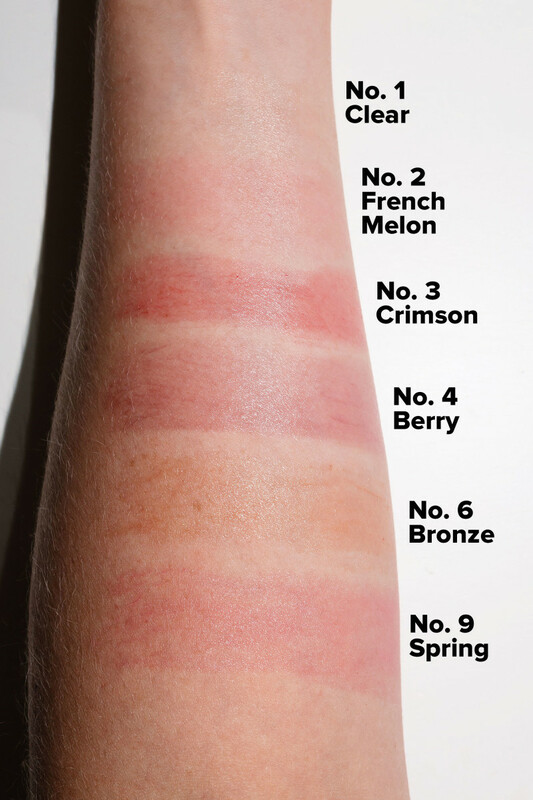 Swatches of the Olio E Osso Balm in No. 1 Clear, No. 2 French Melon, No 3. Crimson, No. 4 Berry, No. 6 Bronze and No. 9 Spring. And here they are on my skin. I&apos;m wearing No. 2 French Melon on my cheeks (this is the shade JGJ loves), which I just swiped on and blended in with my fingertips—no brush required. On my lips, it&apos;s No. 3 Crimson, applied straight from the stick. Wearing Olio E Osso Balm No. 2 French Melon on my cheeks, and No. 3 Crimson on my lips. Now for a closer look at the shades and who suits each, according to Paola. Olio E Osso Balm in No. 1 Clear. No. 1 Clear is the original formula, and the most versatile of the bunch. You can use it as a moisturizer, lip balm, cuticle salve, brow groomer, or split end tamer. I&apos;ve been using it under my eyes (in place of eye cream), and to hold up my brows... I just love this stuff! 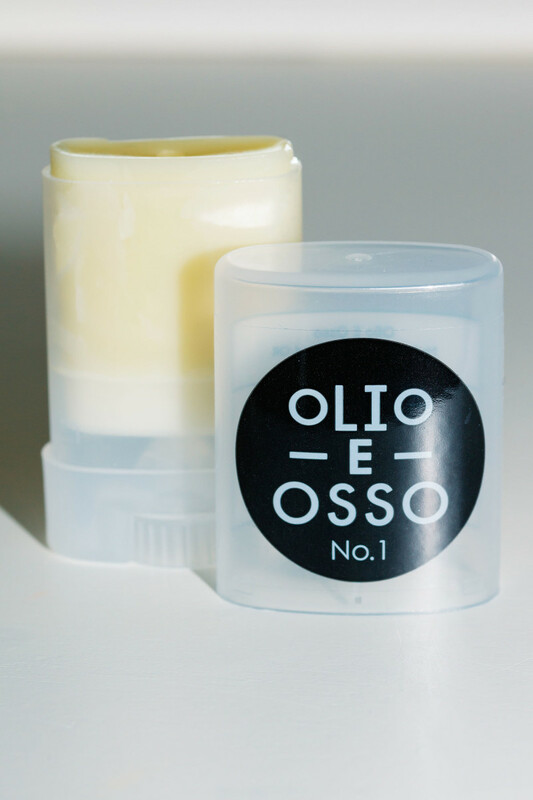 Olio E Osso Balm in No. 2 French Melon. No. 2 French Melon is a sheer pinky coral, and the lightest shade in the range. Paola recommends it for fair skin tones, but says it can also brighten darker skin. My lips are too pigmented for this to show up there, but I absolutely love it as blush. Olio E Osso Balm in No. 3 Crimson. No. 3 Crimson is a classic sheer red. Paola recommends it for fair skin with grey hair (she says darker colours look best with that skin/hair combo), but I think just about everyone will like this. On me, it&apos;s too strong to use as blush, but it&apos;s my new favourite for a red lip. Olio E Osso Balm in No. 4 Berry. No. 4 Berry is a sheer aubergine, and definitely more wearable than how it looks in the tube. It gives you this wonderful stained effect, without looking overdone. Paola says everyone can pull off this colour, and it&apos;s also beautiful layered with the No. 3 Crimson, No. 5 Currant or No. 6 Bronze shades. Olio E Osso Balm in No. 6 Bronze. No. 6 Bronze is a warm copper with a hint of subtle shimmer. This one can be used as a bronzer on fair skin or as a highlighter on darker skin. I actually wear it in place of blush, as I find it&apos;s a great neutral tone, and it&apos;s beautiful as eyeshadow. Paola also recommends mixing it with No. 2 French Melon for brightness. Olio E Osso Balm in No. 9 Spring. No. 9 Spring is a bright but sheer petal pink. In terms of intensity, it&apos;s somewhere in between No. 2 French Melon and No. 3 Crimson. I think all skin tones would be able to wear this—it&apos;s so pretty and feminine for both lips and cheeks. No. 0 Netto: A clear balm with natural menthol to help clear congestion and stimulate tired temples. No. 5 Currant: A raisin red shade for gorgeous, believable flush. No. 7 Blush Shimmer: A semi-iridescent light pink shimmer that can be worn alone or layered over the other shades for a deeper look. No. 8 Persimmon: A deep, warm orange that Paola loves for darker skin tones. No. 10 Tea Rose: A warm, muted rose that suits all skin tones. No. 11 Féte: A golden shimmer, ideal for highlighting or layering over the other shades. No. 12 Plum: A rich, warm plum with a light golden shimmer. No. 13 Poppy: A vibrant poppy red for lips and cheeks. 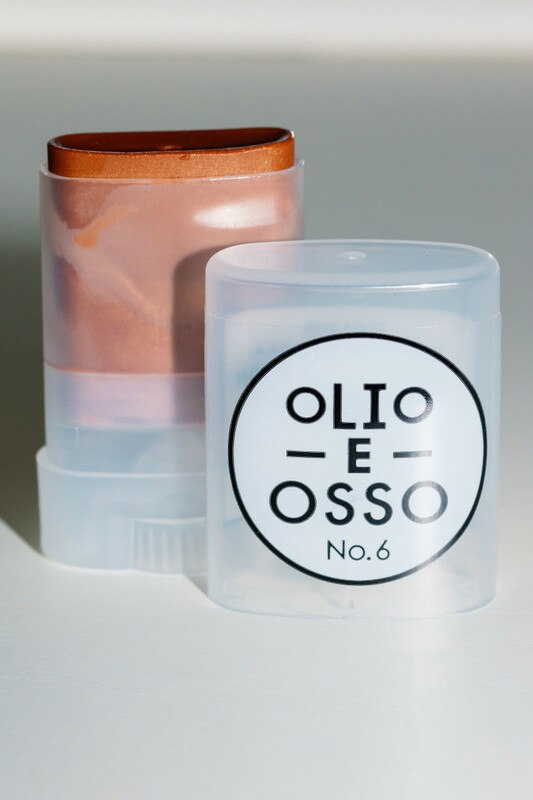 Olio E Osso Balms are the ultimate "no-makeup" makeup. I hope you&apos;re as excited about these Balms as I am! 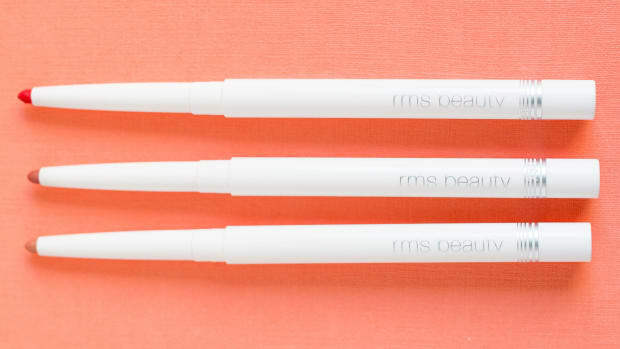 Honestly, I never thought I&apos;d find anything to sway me from my beloved RMS Beauty makeup routine. 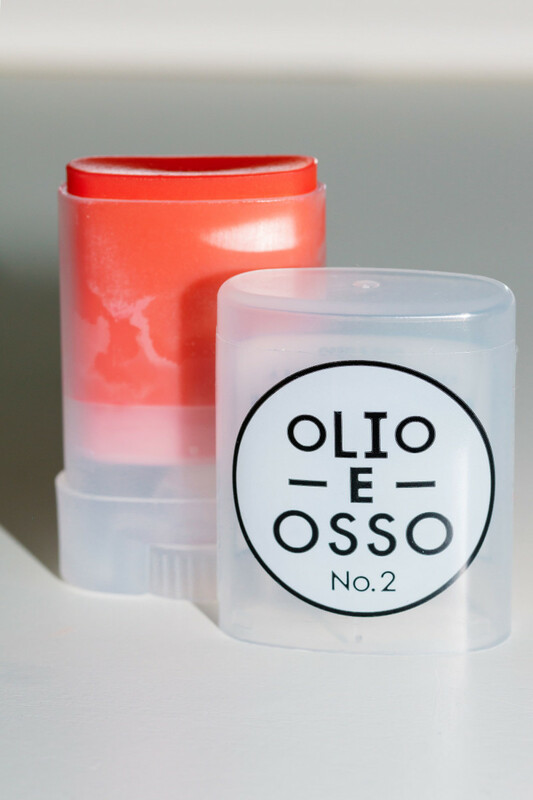 While I&apos;m still a devoted fan of "Un" Cover-Up, I have to say—I now prefer the Olio E Osso Balms for lips and cheeks. As blush, they&apos;re just easier for us non-makeup artists to apply, and give a natural, glowy effect that&apos;s more like real skin. As lip colour, there&apos;s no contest. RMS Beauty always tends to dry my lips out, I suspect due to the vitamin E. But I&apos;ve had no issues whatsoever with Olio E Osso. 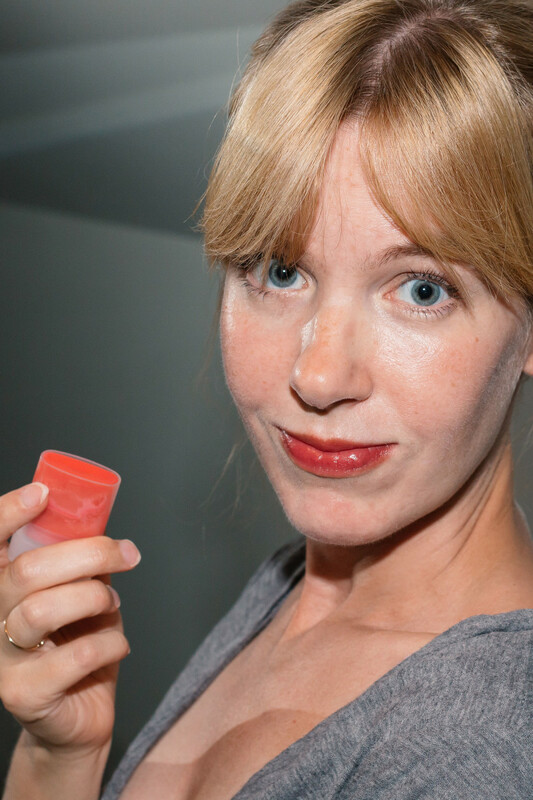 They keep my lips feeling super-hydrated, and I always prefer the finish of tinted balm versus a lipstick or gloss. In short, this is the ultimate product if you like that "you, only better," "no-makeup makeup" effect. And best of all, the formula is just SO CLEAN. I can&apos;t wait to hear what you think!